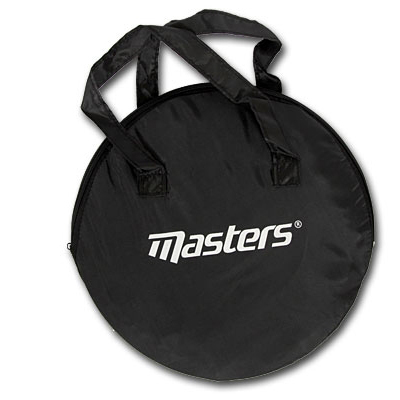 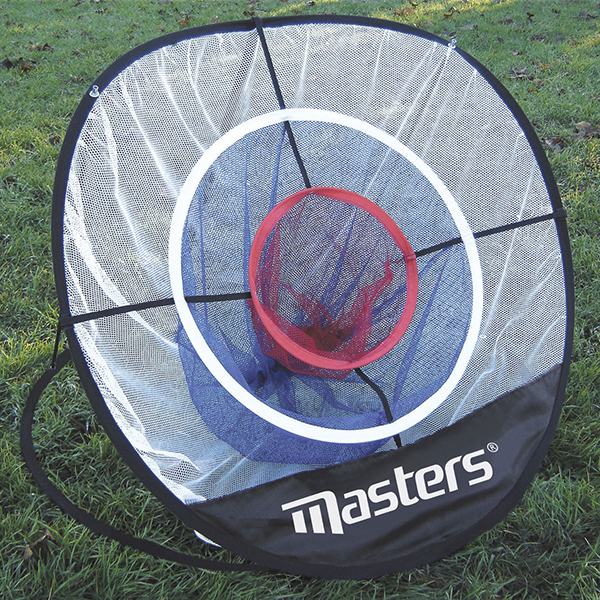 The Masters Pop Up Golf Chipping Net is a lightweight, portable practice aid for your golf chip shot. 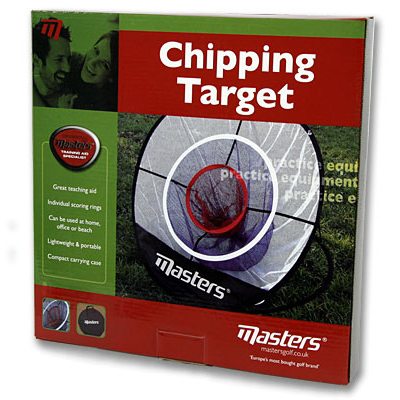 It pops up in seconds and uses a red material to show up hole edge with a cross hair target to make it even more obvious. 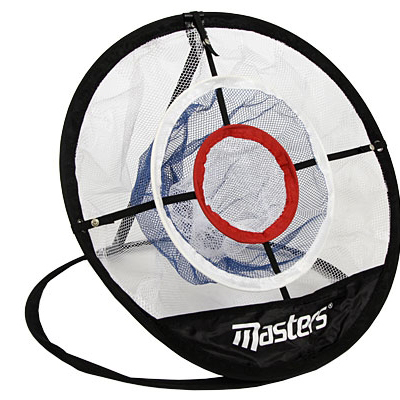 Near misses will bounce back to you while on target shots are retained in the net.